J&J Quality Door carries a wide variety of reliable exterior and interior doors from JELD-WEN which are designed to be artful elements for your home. J&J Quality Door carries Andersen Windows & Doors to provide a wide range of features and options and styles to suit any taste, at a variety of price points. Interior Door manufacturer offering molded passage doors, interior wood doors, bifolddoors, french doors, closet doors, mirror doors and louver doors. Beautiful wood doors and smooth door styles for your entry doors and patio doors from Therma-Tru, one of the most preferred brand in the business. 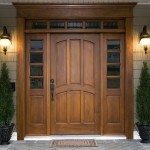 J & J Door is a “Finish Carpentry” contractor serving Northern California. Our Company supplies and installs Finish Products in Residential & Commercial properties such as Doors, Millwork, Finish Hardware, Weather stripping, Paneling, False Beams, Fireplace Mantels, and all types of Moldings. Our Company’s office is located in Stockton, Calif. J & J Quality Door has over 18000 square feet of manufacturing, assembly and storage space at our location. 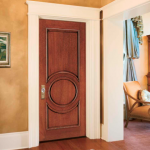 J & J Quality Door enjoys an excellent reputation throughout Northern California with a large customer base of Developer/Builders and Contractors. J & J Quality Door also has an outside sales department that serves walk-in customers with the match-up of existing doors, interior door upgrades, mouldings, exterior doors, etc. It should provide security, weatherization, and the desired level of privacy. The wood species and finish should be appropriate for the weather exposure. The design and scale of the entry unit should respect the architectural plan of the building. The details of the wood, finish, glass and ironwork should be artfully executed. With unsurpassed experience and knowledge of the millwork industry, the staff at J & J Quality Door can help you get the look you want at the best price available. Thank you so much for the positive change you helped make in our home and our life. It has been depressing to look at the damages in our home over the past several years; you have now erased all that and we feel like we have a new home. Danny and Adolpho were a joy to watch. Their professionalism and skill is evident for everyone who comes to our home to see. Fee free to use these comments of praise and total satisfaction in your professional recommendations and customer satisfaction promotions. © J & J Quality Door, Inc. 2019. Website designed by Monster Design Studios.